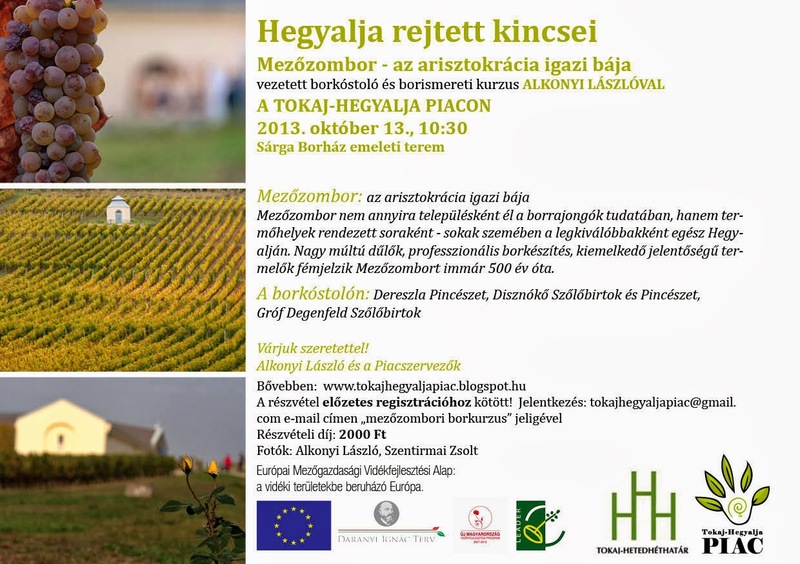 Tokaj Hegyalja Piac - local artisan market: Mezőzombor - "The charm of the aristocracy"
Mezőzombor - "The charm of the aristocracy"
The next in László Alkonyi's wine tastings - this time on home ground! The Tokaj-Hegyalja Market is here in Mezőzombor, set in the very vineyards from where the wines to be tasted this Sunday. Classified as First Growths in the first classification created around 1730, these have always been sought-after lands here at the southwest entrance to the Tokaj Wine Region. As in the past, these vineyards are owned by large estates rather than being numerous small parcels. This monopole situation is one of the subjects that will be discussed at the tasting no doubt. Wines from Gróf Degenfeld, Dereszla and host, Disznókő. We hope you can join us for the tasting.